Convenient Vancouver location, serving Clark County and the Portland Metro Area. Welcome to New Leaf Dental Care, where your wellness, happiness and smile are our primary focus. The moment you walk into our office you will be warmly greeted by our Patient Care Specialist, along with the inviting scent of aromatherapy and the gentle sound of our fountain, all of which sets the tone for a comfortable experience. Enjoy a hot beverage or refreshing ice-cold water as we get to know you and your dental concerns. 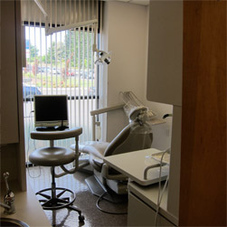 Each of our dental treatment rooms is equipped with a comfortable patient chair and ergonomic pillow. 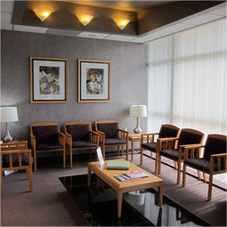 Choose from our “Patient Comfort Menu” and be pampered during your treatment. When finished, a hot scented towel is offered to all of our guests and is perfect for freshening up. We accept cash, check, Mastercard, Visa, American Express and Discover for all office visits and dental treatment. We also accept most major dental insurances. To discuss your payment options or insurance coverage, please call our office at (360) 699-5555. We’re proud to offer CareCredit which is a convenient, low minimum monthly payment program designed to help you pay for healthcare and treatment not covered by your insurance. With CareCredit you can start treatment immediately and pay over time. Now you don’t have to save up for years to finally get the smile you have always wanted. To make an appointment, please contact our office by phone or email at reception@newleafdentalcare.com. Both Dr. Sipes and Dr. Wu are welcoming new patients, contact us today to schedule a new patient check-up. On behalf of our whole team we would like to take this opportunity to thank you for choosing our practice for your dental care.